With everyone from Apple, Google and PayPal to mobile operators, coupon issuers and social networks set to need access to contactless POS terminals to bring their NFC plans to market, Verifone’s Paul Rasori tells NFC World how these new players could gain access to merchants’ points-of-sale — and who should foot the bill. Future Verifone POS terminals will be able to support a huge array of NFC services, from traditional card payments to new payments services, couponing applications and more, Verifone’s senior vice president of global marketing has told NFC World. And new entrants to the market will be investing heavily in enabling merchants to equip themselves to accept the new NFC services. Verifone’s vision for NFC revolves around enabling its POS terminals to support the widest possible range of contactless services, Paul Rasori explained. And the key to making that vision a reality will be that new entrants to the market will meet many of the costs of upgrading and replacing terminals to support the new services they plan to offer. All new Verifone terminals will have the ability to support NFC, Rasori confirmed, but while the company doesn’t plan on giving away its NFC technology, he also doesn’t expect that merchants will be the ones to foot the bill for installing NFC capabilities at the point of sale. By committing to include NFC in all its terminals, Verifone has reduced the cost of adding NFC to a POS terminal from US$100 to only $30 to $35, says Rasori. While that represents a significant reduction in cost, however, that cost will still need to be met by someone. In many cases, though, it won’t be the merchant that picks up the tab. Instead, it will be the new payments and marketing players that are keen to get their services accepted at the point-of-sale that will fund the cost. “That is not a model that can be maintained,” says Rasori. In particular, he explained, “it’s in the best interest of a new entrant to be participating in the cost of that new infrastructure because then they can have a say in how it works.” By paying part of the cost involved in having a merchant convert to and maintain a contactless infrastructure, a new entrant to the market, says Rasori, can gain both wider acceptance of its service and ensure that merchants’ POS systems are equipped to handle the very latest version of their payments or marketing service. There are two cost centres that merchants look at when it comes to their POS devices, Rasori explains. The first is the hardware while the second — and equally important — component is the cost of software maintenance, to ensure their systems are always kept up-to-date with the latest security and service requirements. Building NFC capability into all its devices addresses the first issue, says Rasori, since it has enabled Verifone to reduce the hardware costs by two-thirds. The second side of the company’s strategy lies with the maintenance side of the business. The idea is that Verifone customers will be able to choose to accept any of the widest possible range of both traditional and new payments, promotions and other services at their points of sale — without having to create the in-house capability to maintain each of these myriad new services. 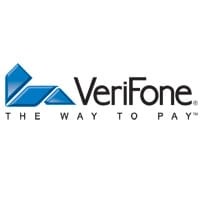 Instead, Verifone will take responsibility for managing those services on the merchant’s behalf, in return for a maintenance fee in the region of “a couple of dollars a month” per point-of-sale. Again, however, Rasori sees new entrants to the market subsidizing those maintenance costs and, crucially, merchants will only pay for the services they wish to accept.